We recently saw Malaika Arora in shinny holographic pants which looked stunning and hot. The ripped relaxed cut denim was worn by her on various occasions, but every time they were styled differently and looked equally stylish. She was seen wearing it with a sporty spaghetti top, white sneakers and a matching cap. In another look we saw her in regular printed T-shirt and white sneakers. The third look was with an embellished collar top and matching boots. 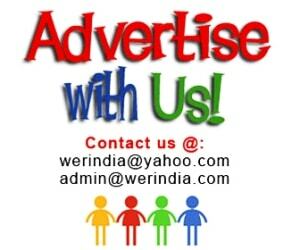 You too should try this trend and we have made the work easier for you by listing ways to flaunt it…. 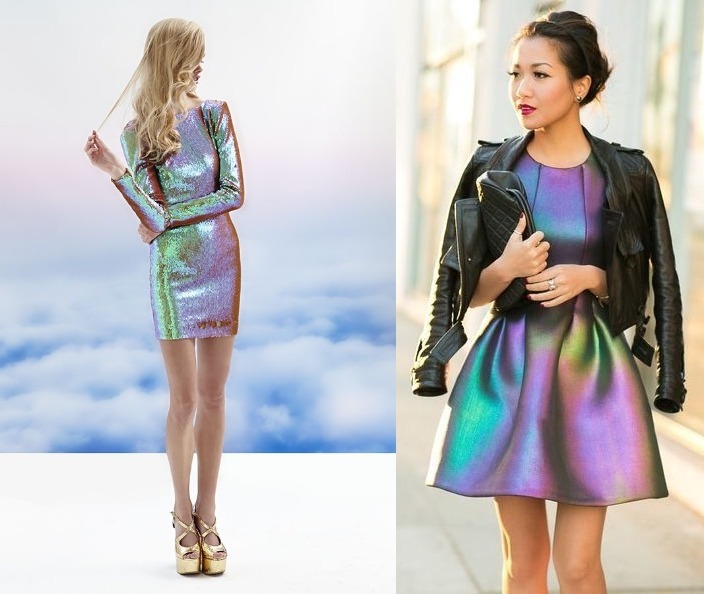 Dress-Turn a simple holographic fabric into a gorgeous dress and you will definitely make heads turn in the party. A dress with boat neck and long sleeves is a silhouette to bank upon when you want to play safe. A flare cut skirt dress will give you a barbie look and you can definitely pair it up with your leather jackets. 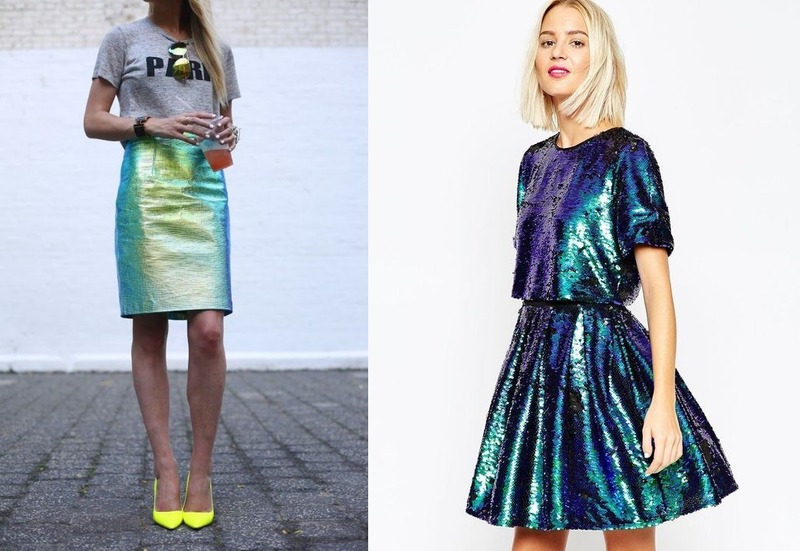 Skirts-Holographic skirts can look awesome for a party or you can even wear it as a day wear. A simple slogan T-shirt goes very well with it or you can pair them up with a plain T-shirt in a bold color. The other way is to wear them with a matching crop top. Gowns in sequence-Opaque sequences in holographic effect are best for long wedding dresses. You can match them up with delicate fabrics like chiffon, georgette’s and silks in pastel and neon shades, and they go best with fine tulle fabrics. A full dress in this kind of sequence is also good. Accessories – And if you want to try this trend but do not wish to overdo the look, then try wearing accessories in this style like bags, footwear, eyewear etc. which will keep the things in minimalism.